*I borrowed this book from the library. Oh, this book. What can I say about it? I don’t know. Except, damn you Nicholas Sparks! But in a good way. Sparks is an author that always makes me cry, and yet I continue to go back to him. Even through the tears and anger, he makes me laugh nand he makes me fall in love. The Last Song is an amazing book. It’s well written and the story and characters are amazing. The only bad thoughts I had about it (and trust me, there were very few), didn’t matter so much when I continued to read. I saw the movie a while back when it first came out and I have no qualms about which was better. In my eyes, they were both heart breaking and beautiful. 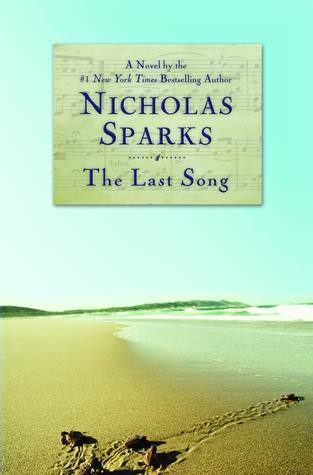 I loved this book and I recommend Nicholas Sparks to anyone that doesn’t mind shedding a tear over the beauty of real life.